On sale for $25, this updated version offers better performance than the original Compute Module launched in 2014. According to the website, Compute Module 3+ is an evolution of CM3 and CM1, with more than ten times the ARM performance, twice the RAM, and up to eight times the Flash capacity, as well as providing better thermal control. The Compute Module was designed to provide the core Raspberry Pi technology in a form that enabled others to incorporate it into their own products. However, this seems to be the end of the 40nm-based Raspberry Pi products. “Compute Module 3+ is, like Raspberry Pi 3B+, the last in a line of 40nm-based Raspberry Pi products. We feel that it’s a fitting end to the line, rolling in the best bits of Raspberry Pi 3B+ and providing users with more design flexibility in an all-round better product. 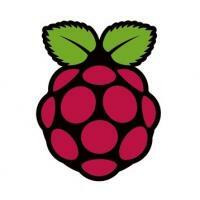 We hope you enjoy it,” Raspberry Pi COO James Adams posted on the blog. There is no official word on what will be the next Pi model for use in commercial and industrial products. However, there are lots of projects that can leverage the greater processing power and faster networking a Raspberry Pi 3+ provides. For example, take charge of your own NASA Space Center, and play the popular sandbox video game Kerbal Space Program on a big screen TV. Connect a Raspberry Pi 3+ (or a Raspberry Pi 3) from a PC that’s running the Valve Corporation’s Steam software stream to a TV, and use a keyboard or game controller to maneuver the Kerbal crew and send their rockets through liftoffs and landings (or crashes) on a bigger screen. The Raspberry Pi CM3+ datasheet notes that it’s the recommended Compute Module for all current and future development and will be available until at least January 2026. The Raspberry Pi Foundation was established in 2008 as a UK-based charity with a vision of a small and affordable computer as a way for adults and children to learn about computers and computer science or for digital making. If you’re interested in a meet-up with others to explore digital making with Raspberry Pi, find out if there’s a Raspberry Jam event near you.